There is no mention of Black American Soldiers who lost their lives in Europe. White Americans will go back to their Noble Roots when they learn about them. The Evangelical Propagandist Ministers of the New Confederacy are overthrowing our Democracy employing racist tactics. Next time, the European Union should honor soldiers of the Civil War, who took on the League of Southern Traitors who sought, and got, aid from European nations. My kindred, Jessie Benton, sent her Jessie Scouts into Mexico to take on the European alliance that gathered there. Fremont kept them out of California by mobilizing the German immigrants who poured into the United States after losing their revolution against the royal Habsburg families and their Pope. The suppression of Native American voters should have been addressed. Many European Monarchs employed these natives to fight their battles. Next time let us hear this Freedom Song that will lead the next Blue Wave. In the 1830s, European itinerant entertainers such as the Austrian Tyrolese Minstrels and the Strassers toured the United States and whetted American appetites for groups who sang in four-part harmony. John Hutchinson saw a Tyrolese Minstrels concert in either Boston or Lynn, Massachusetts, probably in 1840. He was impressed by what he heard, and he decided to teach the rest of his family to sing in the same style. John Hutchinson and three of his brothers (Asa, Jesse, and Judson) dubbed themselves the Hutchinson Family Singers and gave their first concert in Milford, New Hampshire, in 1840. They performed again in Lynn the following year. The group sang mostly European songs, such as those by Henry Russell or the Tyrolese Rainers, but Jesse Hutchinson soon quit to write original material and to manage the group’s affairs. The remaining three members eventually adopted the name Aeolian Singers. Twelve-year-old Abby Hutchinson, a high tenor, took Jesse Hutchinson’s place to complete the quartet. PARIS — Dozens of leaders from around the globe marched in the soaking rain down the Champs-Élysées on Sunday, expressing solidarity for an international order that had its origins in the end of a world war 100 years ago, an order now under increasing pressure on both sides of the Atlantic. Only after these leaders arrived by foot at the Arc de Triomphe did President Trump show up, protected from the rain as he made an individual entrance. A few minutes later, President Vladimir V. Putin of Russia did the same. For Mr. Trump, at least, the separate arrival was attributed to security concerns. But somehow it felt apt that these two leaders would not arrive with the crowd. No one has done more to break up the postwar global system in the last couple of years than Mr. Trump and Mr. Putin. As the anniversary of the armistice that ended World War I was commemorated on Sunday, Mr. Trump’s brand of “America First” nationalism was rebuked from the podium while he sat stone-faced and unmoved, alienated from some of America’s strongest allies, including his French hosts. Too many black folks think it was armed black slaves who won their freedom by fighting the Confederates. Without the Germans, we would be two nations – and millions of black people would be slaves! Black people have a problem thanking some white people who were on their side. Why would they want all white people to feel guilty? Hundreds of thousands of white folks died fighting each other. Thousands of the dead were White Abolitionists. 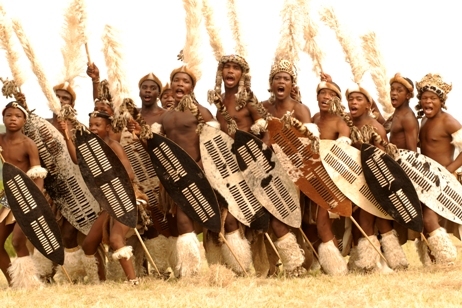 Let me make this picture of two Warrior Classes, the Zulu and the Prussians. Neo-Confederates and their wealthy handlers, hate these images. If there is going to be a next Civil War, then hundreds of trained black troops will be fighting alongside white lovers of Liberty – as voting Americans! 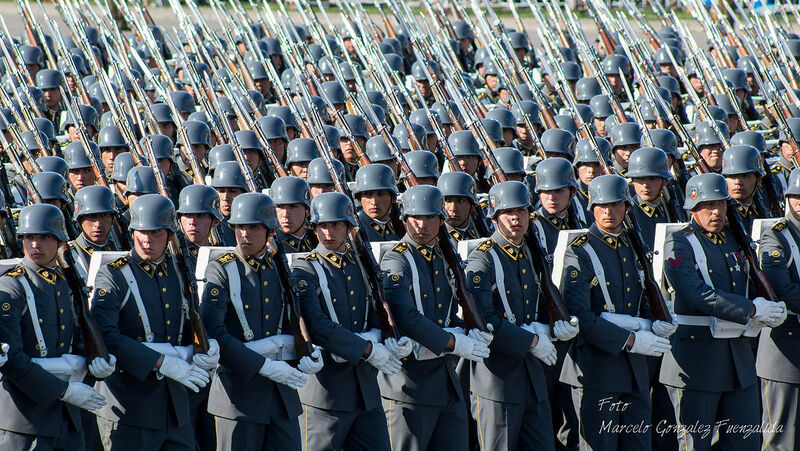 Most of the Chilean army have Native American blood. Stop playing stupid mind-games and own a winning strategy. Samson was a Nazarite, and so was John the Baptist. Nazarites are separated, and belong to God. They are his warrior-prophets in time of national crisis. Nazarites made up the first church, and died on the walls of God’s House in Jerusalem, repelling the army of the Roman slave takers. The Abolitionist God of Moses, lost that battle. He did not lose the next one. Do not let Roman wolves in shepherd’s clothing, convince you God is a loser. Within weeks of Lincoln’s election, Southern states had started to leave the Union. Lincoln would not even be inaugurated as president until March 1861, but secession movements were already active before Christmas of 1860. Nothing Lincoln did as president initiated secession. It had already begun before he ever took office. Lincoln saw secession as part of a strategy by Southern politicians to win through the threat of violence what they could not win at the ballot box, and thereby end democracy in the United States. Many German immigrants agreed with him. The Germans, like the Irish, were extremely mistrustful of the Republican Party when the 1860 presidential campaign got underway. They too had been targets of the same Know Nothings who formed a strong minority within the new party. German votes, like those of other immigrants, had gone to the Democrats throughout the tumultuous 1850s. But the opposition of liberal Germans to the expansion of slavery and the skillful use of German-language media by Lincoln, as well as the employment of German stump speakers like Carl Schurz by his campaign, won many Germans over to the Republicans. This map shows Germany divided in 1860. Many immigrants feared the same fate for America if the South won the war. Click here for source. The Germans were also disproportionately anti-slavery in sentiment. During the 1850s, they had formed their own abolition societies and the German-language press railed against slavery. Interestingly, they were not attracted to the broader abolition movement because it was so closely associated with New England Puritanism, which they viewed as bigoted against immigrants, Catholics, and liberals. The 8th New York Volunteer Infantry Regiment was called the First New York German Rifles by its men. Organized in April 1861, it was the first German regiment to reach Washington, DC. Click here for source. Antagonism to American abolitionists did not lessen the anti-slavery impulse among Germans. That sentiment was on display in a letter written by immigrant Albert Augustin to his family in Germany a few months after the start of the war. Karl Frick, a German immigrant who joined a Unionist Missouri regiment, wrote to his mother in Germany – who was as unfamiliar with America as though it was on Mars – about the treatment of blacks in America. Horstman’s assertion, that the strong egalitarian work ethic of immigrants would redeem an America whose native sons did not always value their freedoms and opportunities was echoed not just by Germans, but by Irish and other immigrants as well. Many of the Germans said they enlisted to express their gratitude to America, even though they saw the country as deeply flawed. Men who complained of mistreatment and prejudice in one paragraph expressed deep affection for America in the next. Sergeant Albert Krause, who strongly objected to the American institution of slavery, wrote his family in Germany about the pride he felt in his new home. Some of the immigrants wrote about a very German fear. Prior to the unification of Germany, Germans lived in dozens of small countries. The lack of unity made the Germans vulnerable to constant invasions by France, Russia, and Austria and susceptible to manipulation by Britain. German immigrants believed that if the South was successful, the United States might further divide into ever-tinier units. Some saw the hand of European monarchies behind secession, because the destruction of the world’s great democracy was the common project of tyrants. An America divided would be powerless to advance democracy in the world. William Albrecht encountered recruiters when his ship arrived in the US shortly after the war began. This cartoon of Castle Clinton (The Battery) later in the war shows a highly systematized process in which new immigrants were overwhelmed by recruiters looking for flesh for the army. A large sign on the left advertised large bonuses for new recruits. Bonuses, which were small or non-existent in 1861, grew to as much as 10 years’ pay for a laborer by 1864. Not all who joined the army in the early days of the war did so with much forethought. William Albrecht arrived in the US soon after the war began. “We landed in Castle Garden, a reception center for immigrants,” he wrote to family in Germany of his arrival at The Battery in Manhattan.